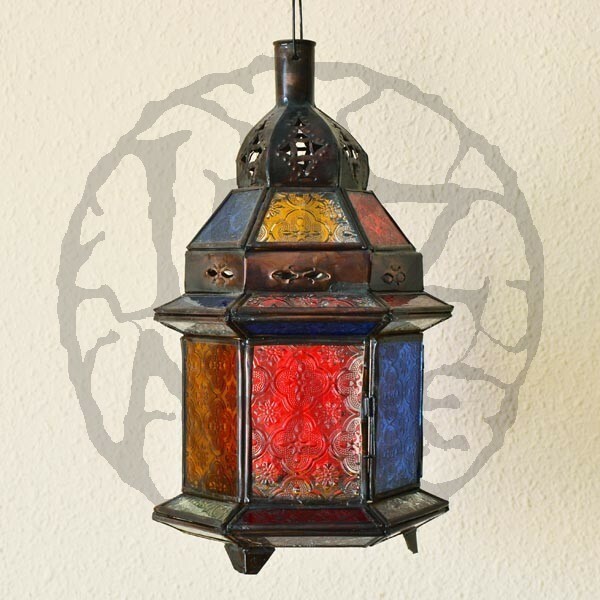 Hexagonal candle lantern of pierced iron with a dome and glass of various colors (blue, mustard, red, and green) and other transparents that alternate with those of colors. 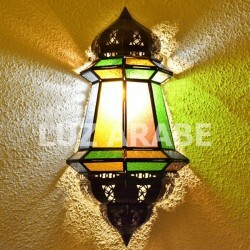 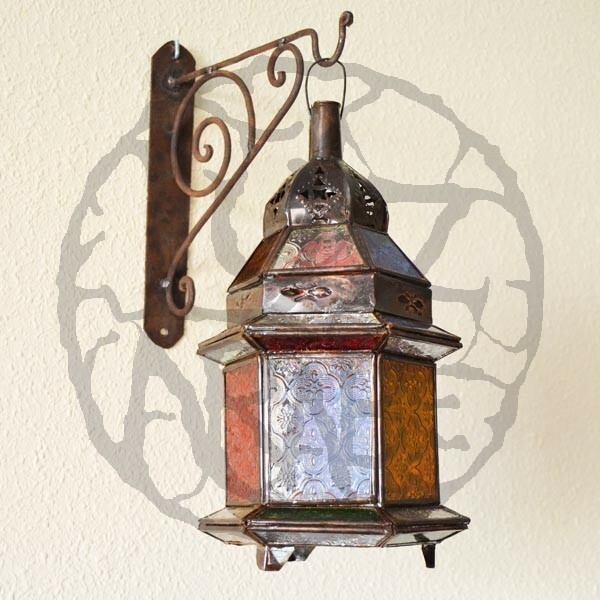 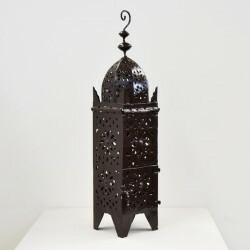 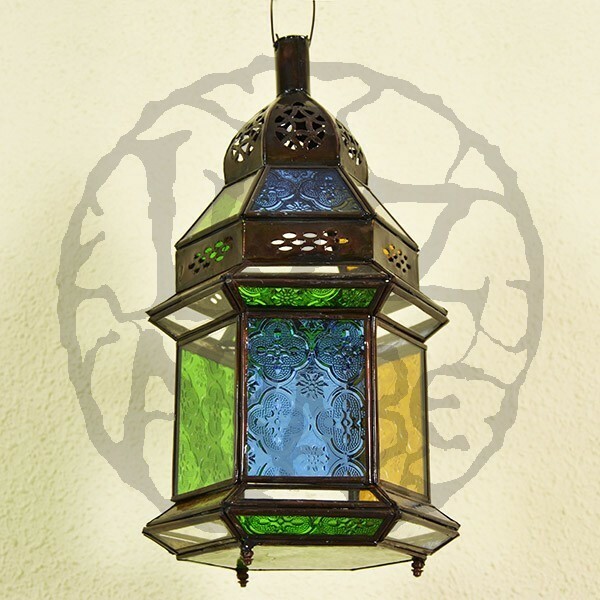 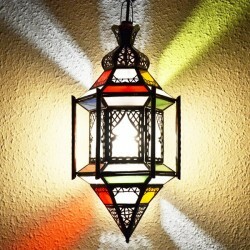 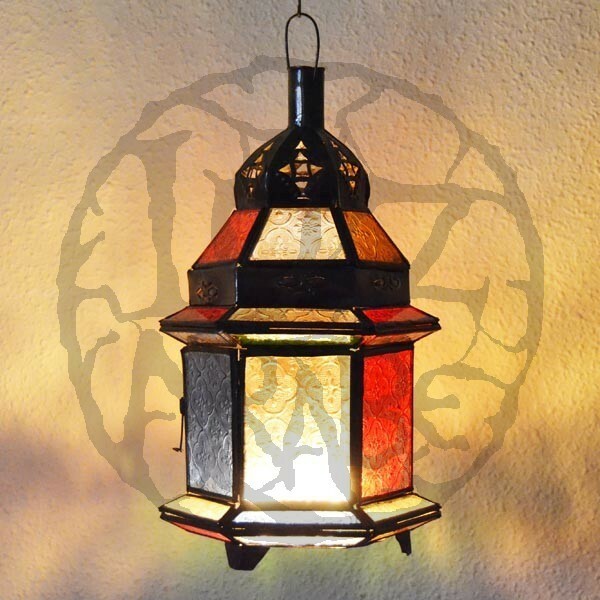 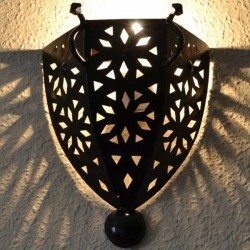 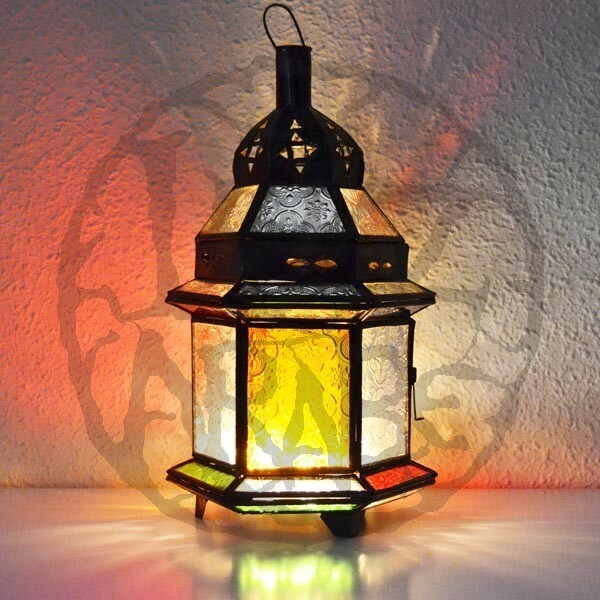 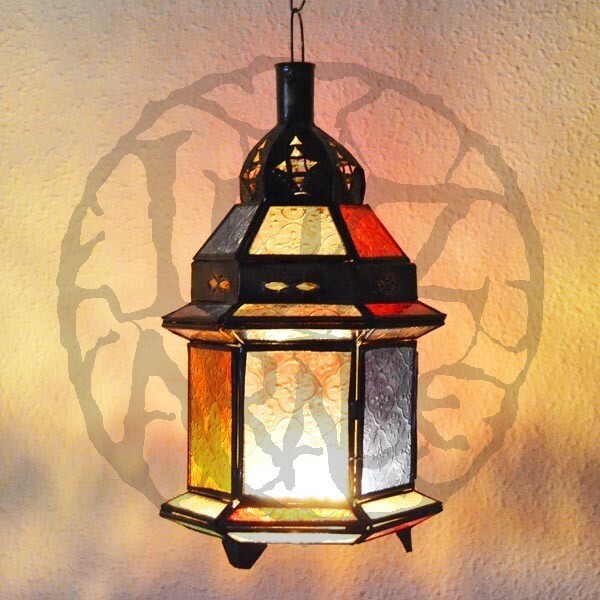 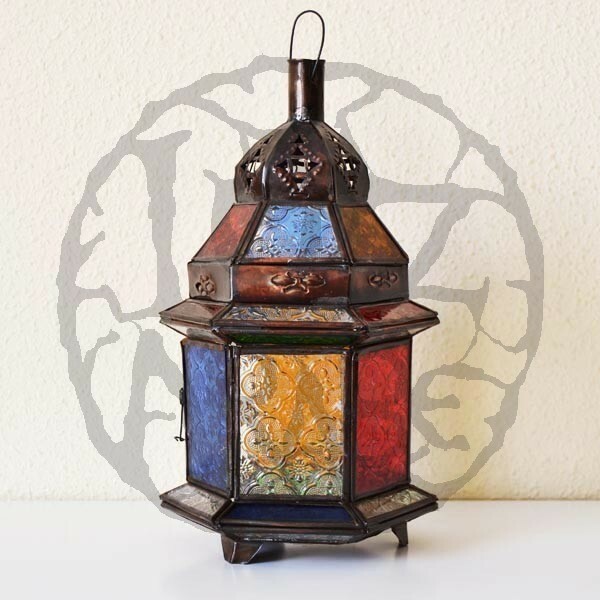 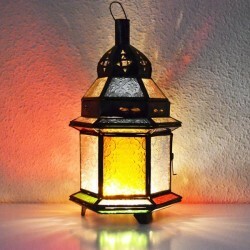 The package includes handmade Moroccan candles Lantern of hexagonal form of pierced bronze and colored glass. 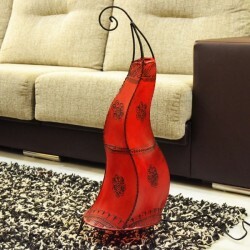 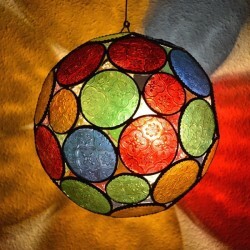 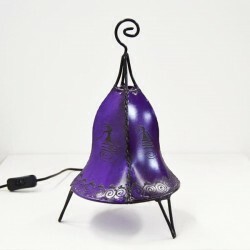 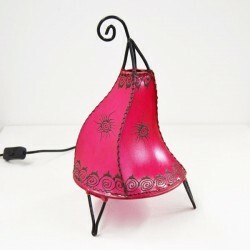 Such lamps can be used both with and without light as a decorative object. 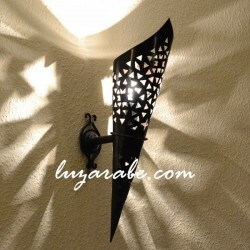 They are ideal for gardens, patios, terraced, entrance and halls with Andalusian touch to create an atmosphere of Arabian Nights.